I love waking up in the morning and finding newness in my inbox from the brilliant Paul Lapointe of Lapointe and Bastchild. 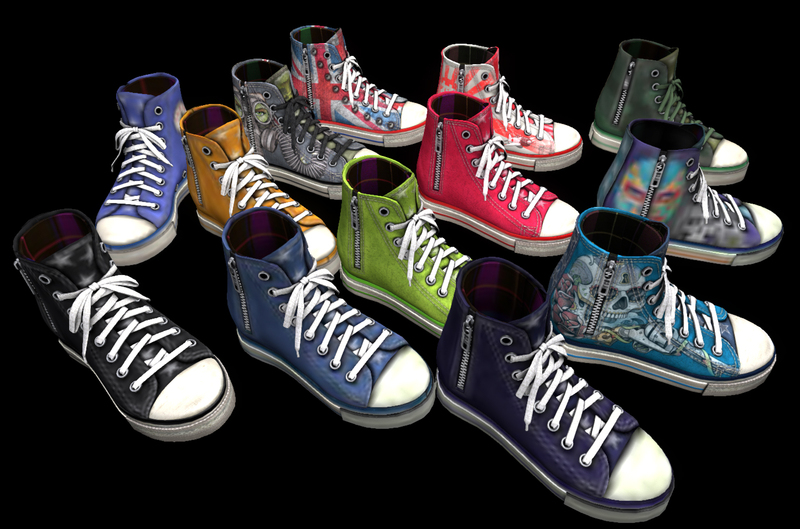 Here is your sneaky peak at the Freakshow men’s sneaker set (there is also a women’s set available) for the Depraved Nations Freakshow Carnival Gacha. Its open now at Freak Show. The men’s set comes in 18 different styles, 5 rares and 13 commons. $75L a chance – the rarity percentage is 10%. Each one includes a Right and Left and a really easy to use Resizer hud. As with any item from L&B, the detail is AMAZING. Worth a visit to try them out.